“The Lucky Specials” follows a guitarist and his friends on their journey to create a new musical sound and catapult their small-time band to the big stage. 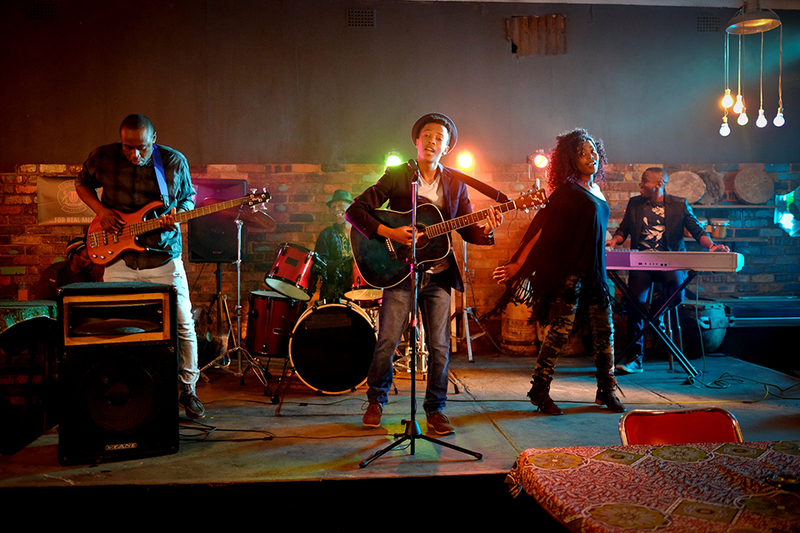 Mandla is a miner by day and plays lead guitar for The Lucky Specials by night – until tragedy strikes. One of the most beautiful stories in the San Francisco Black Film Festival this year is “The Lucky Specials.” The story, set in South Africa, is about a group of musicians who come into contact with the deadly disease tuberculosis, a major killer in Africa and around the developing world. M.O.I. JR: How did you get into filmmaking? Rea Rangaka: By accident, really. I wanted to study speech therapy, but I missed course registration and would have had to wait another year. Instead, I did a bachelor of arts in English literature, film studies, and theater and performance. Since then, I’ve been directed toward projects that involve filmmaking in one way or another … so it found me. M.O.I. JR: Are you from South Africa? What makes the country beautiful and unique? Rea Rangaka: Yes, I am South African. What makes my country beautiful? … the people. Sure, some of our vistas are to die for, but what is that without someone to share a beer with and talk in your own language. M.O.I. JR: What made you write a film where you intertwine music, tuberculosis, family and love in many forms among other things? Rea Rangaka: I directed the film; I didn’t write the script. But stories that have the ability to effect change are always necessary. Getting the story right for audiences was really important because tuberculosis is one of the world’s biggest killers. 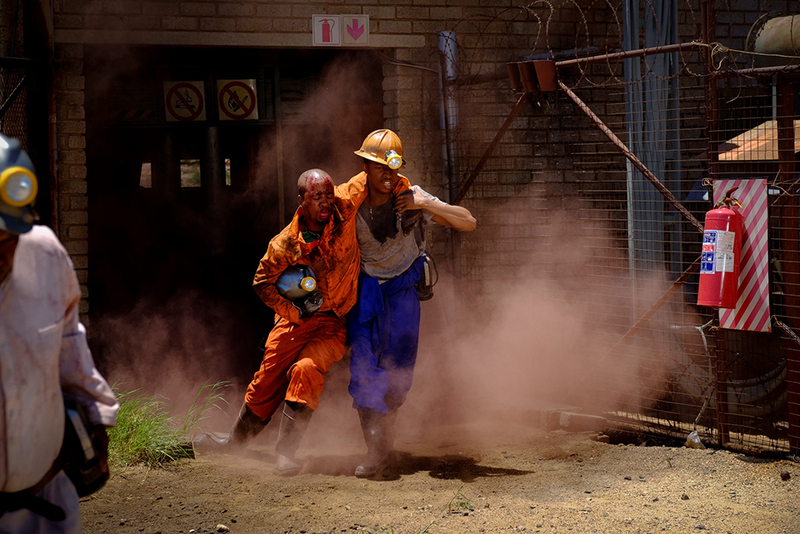 In the feature-length film, Mandla, a miner by day, rescues a comrade from a mine explosion. “The Lucky Specials” is great because it pulls in themes that everyone can relate to: love, struggle, triumph, friendship. Music is a global language, and we created a whole new musical genre for this film – pop-skandi – to bring additional appeal. These elements make the story feel natural and allow people to engage and make their own health decisions, which is real empowerment. M.O.I. JR: Who are some filmmakers who inspire you? And what are some of the films that inspire your work? I consume as much film as I can. M.O.I. JR: What made you enter this film into the SF Black Film Festival? And how did you feel when you heard it was selected to screen? Rea Rangaka: It’s thrilling to be selected for the San Francisco Black Film Festival. The festival’s focus on providing an outlet for reinforcing positive images of African-American communities and the African diaspora, as well as film’s power to facilitate dialogue and understanding on important issues, is exactly in line with the reasons why “The Lucky Specials” was made. It’s thrilling to be selected for the San Francisco Black Film Festival. The festival’s focus on providing an outlet for reinforcing positive images of African-American communities and the African diaspora, as well as film’s power to facilitate dialogue and understanding on important issues, is exactly in line with the reasons why “The Lucky Specials” was made. Screening the film to audiences for whom the subject matter and its nuances resonate is really fulfilling. M.O.I. JR: How have audiences in the U.S. responded to this film? How has the international community responded to this film? Rea Rangaka: The target audience for the film is individuals across southern Africa, where there is a heavy tuberculosis burden. The film is being screened and broadcast across the continent. We showed the film in Johannesburg, Washington, D.C., Harare, London and several other cities across Africa and around the world. Many people were surprised by how seamlessly the narrative and science behind tuberculosis were woven throughout the film. The target audience for the film is individuals across southern Africa, where there is a heavy tuberculosis burden. The film is being screened and broadcast across the continent. We showed the film in Johannesburg, Washington, D.C., Harare, London and several other cities across Africa and around the world. The messaging doesn’t feel forced; it’s very natural. And audiences become very invested in what happens to the characters. Very cool. M.O.I. JR: Were the characters composites of real people or totally made up in the writing and shaping of the characters in the film? Rea Rangaka: There was a long research process involved in bringing this film to the screen. To convey the messages that we wanted audiences to pick up on, a lot of time was taken to ensure that the story felt authentic and that audiences could identify with the characters, who are all fictional. Making the film personal, practical and memorable was crucial to get audiences invested in the film and all of its components. M.O.I. JR: What other film projects are you working on? Rea Rangaka: At the moment, I’m working on my own writing projects to be shot in South Africa. Otherwise, I’m working on great television for South Africa to keep the muscle working. I’m only 30, so I’m not in any rush. Still much to learn. Apart from “The Lucky Specials,” the last film I did was a short feature called “Ode in Blood,” screened at the Director’s Guild of America in Los Angeles. I studied at Chapman University’s Dodge College of Film and Media Arts, also in Los Angeles, and I have a special place in my heart for California.